The Wall Street Journal ran an op-ed by a former top aide to Hillary Clinton in which he claimed she not only plans to run for president again in 2020, but will also easily beat Donald Trump in a rematch. The opinion piece, written by former Clinton adviser Mark Penn and Andrew Stein, a former Democratic Manhattan borough president and president of the New York City Council, goes on to state that Clinton will successfully rebrand herself as a “strong, partisan, left-leaning, and all-Democrat” challenger to the status quo. Which means, after careful review over the past two years, it’s been decided by Clinton’s team that she lost because she wasn’t left-leaning or partisan enough. She was apparently too centrist and moderate for the base last time, so a big shift even further left should push her over the top. One thing the authors of this opinion piece avoid mentioning is the very relevant fact that after the 2016 Democratic primaries, the rules about so-called superdelegates were deliberately changed precisely to prevent the rigging of the primary race that handed the nomination to Clinton instead of Bernie Sanders. Those reforms were made because of how absolutely incensed most of the Democratic base—especially the younger segment of it—became upon reading the leaked Democratic National Committee (DNC) emails and realizing the process had been rigged. Stop for a moment and ponder the magnitude of the absolute tidal wave of anger that would descend upon DNC officials if they dared to blatantly undo all the rule changes that were demanded by their own voters. Not only could Clinton not win the 2020 Democratic nomination if they did this, the Democratic Party itself likely wouldn’t survive the fallout from such a move. 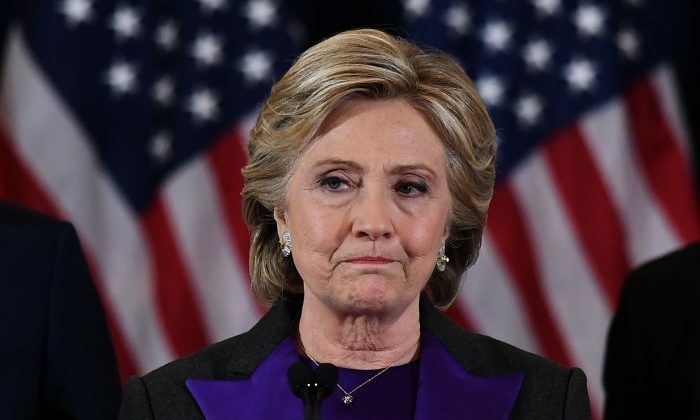 Given her numerous health problems and episodes that the mainstream media went to great lengths to gloss over and deny at the time, the prospect of a rematch between Clinton and Trump looks very problematic for her. Although he is a year older than his prospective challenger, being 72 years of age to Hillary’s 71, Trump is a tireless campaigner who just did countless rallies all over the country for the midterm elections season. To get an idea about how physically vigorous our 72-year-old president is, watch the video of him where he stands in one spot for an hour and a half to shake the hand of every single Naval Academy graduate. Trump would no doubt relish the prospect of taking on an increasingly frail-looking Clinton if she did manage to secure her party’s nomination. I’d also like to point out Penn’s political world access, importance, and influence have plummeted in the past two years; his only relevance comes from being associated with the Clintons. The only way Penn becomes relevant again, the only way his profile can be raised to where it was before Clinton lost to Trump in a stunning upset, is if Clinton comes back and runs again. Otherwise, he has to find some new reason to get The Wall Street Journal and other media outlets to pay attention to him and give him a platform. So Penn is desperate to sell the idea that Clinton can not only come back and win the Democratic nomination, but that she’s figured out why she lost in 2016 and has a fantastic game plan for defeating Trump this time. And from what Penn and Stein are claiming, the game plan involves Clinton turning herself into some kind of super-partisan far-left champion, something that will at least cause the Democrat-leaning rank-and-file in the Iowa caucus and elsewhere to finally get fully behind her. Yeah. OK. Sure. I hope they really do try this. The internecine warfare that would erupt between the Clinton loyalists and the rest of the Democratic Party if she insisted on the same special treatment she got last time—and you know she’d do it—would work in Trump’s favor. The Clintons spent years making the Democratic Party all about them before that interloper Barack Obama rudely interrupted their reign. There was always an uneasy truce between the Clinton and Obama camps, and her attempting to muscle her way back into the picture for 2020 would cause that fragile truce to disintegrate. Clinton will never be president. She’s a two-time loser who is a completely known entity to the voters and has been soundly rejected. But the many people in the political world who are so tied to her fortunes can’t quite let go of her just yet. 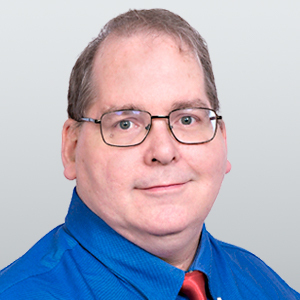 Brian Cates is a political pundit and writer based in South Texas and the author of “Nobody Asked For My Opinion … But Here It Is Anyway!” He can be reached on Twitter at @drawandstrike.